Pregnancy can be an exciting, yet trying, time. Mamas-to-be must balance everyday activities with morning sickness and growing body parts. While looking fashionable remains a priority for many pregnant women, the cost to do so can be prohibitive. According to a BabyCenter poll of more than 15,000 women, 30% spent $200 to $500 just on maternity clothes. Another 24% spent anywhere from $100 to $200. That is a lot of money for clothes that only last a few months! However, there are a number of ways to save money on maternity clothes that can lessen both the expenses and the stress in your life. If you are feeling crafty, do what Mommy blogger from Grosgrain did. She simply took a pair of pants and cut the zipper and most of the front waistband out. She then sewed stretchy fabric into them to make them look identical to the maternity fashions sold in stores. To make your pants into maternity pants, first, put on a pair. The pants should fit everywhere except for the belly region. Leaving the zipper and button undone, take a marker, hold the pants up to your belly, and outline where your stomach falls. This area will most likely be a “V” that reaches from the bottom of the zipper to about two to three inches from the top of the pants at each side seam. Do not cut around the back waistline. After you’ve made your outline, take a good pair of scissors and cut. Next, measure around your back and stomach at the widest point your pants will reach. Take 2 inches away from your measurement and cut an 8- or 12-inch-wide swath of stretch fabric to that length. As a general rule of thumb, use a piece of fabric eight inches wide if you are less than four months pregnant. Otherwise, use a 12-inch-wide swath if you are over that. This may seem like a lot of fabric, but it will be sewn in the pants where the V stops. Therefore you should only have roughly two to three inches of stretch fabric that is above the waistband after you are finished sewing. You can cut your fabric strip from a piece of stretch fabric wider than 8 or 12 inches; just be sure to hem the sides for a clean, finished look. Then, you will take your piece of stretch fabric and sew it to the inside of your pants. Place the stretch fabric at the beginning of the deepest part of the cut in the front and pin it. Sew evenly around the circumference of the pants. The stretch fabric should hang above the pant’s original waistband by two to three inches. If the extra stretch fabric in the seat of the pants is uncomfortable, it can be neatly trimmed up to where the seam is in the waistband. Now that your pants are finished, you should be able to wear them comfortably and still have room for your belly to grow. There is no need to run out and buy a new pair of jeans when you can’t button your top button. Instead, buy a belly band. Belly bands are simply a piece of stretchable fabric that fits over your pants and growing stomach. It allows you to wear your pants or skirts unbuttoned and unzipped without anyone knowing. This is definitely a great solution for the first few months or if you only gain inches in your stomach area. Belly bands are also a great solution for shirts that no longer cover your expanding midsection. Since the belly band is just a wide piece of stretch fabric sewn together to make a circle shape, one can easily make their own belly band as well. Just measure your waist, buy a 12-inch wide piece of stretch fabric, and sew the two ends together to make a circle slightly smaller than your waist. You want it to stretch comfortably over your waist and pants without being too loose or too tight. And if you need to cut from a piece of fabric wider than you want the width of your belly band, make sure to hem the sides. Christy from Christy’s Creations blog features a great picture tutorial on how to make the belly band. Many clothes from the thrift store can be extremely worn and tattered; however, I have had much luck finding maternity tops and pants that are barely used. Another great place to find pre-owned maternity clothing is through Craigslist, eBay, yard sales, and local consignment sales. Many times, you can find maternity clothes lots for sale through these venues, and may even be able to haggle the price down further. For the best pre-owned maternity clothes, look for brand names that are free from too much wear and noticeable stains. Shop the thrift store on their discount days for an even greater savings. When you no longer need your maternity clothes, consider donating clothes back to the thrift store for a possible tax deduction. If you know someone who just had a baby, chances are that she is more than happy not to see her maternity clothes any more. Ask if you can borrow or buy her maternity wardrobe – she may sell it to you for a steal, or just give it to you for free. You can always swap her some of your clothing for her maternity clothing for an even trade. Mine for Nine is a high fashion maternity clothes store that allows pregnant women to rent their clothing for a few months. Each clothing option is also available for purchase as well. The maternity clothes offered through this site are definitely a higher quality than what one would normally find in the maternity section at Target or Motherhood, and therefore the prices are higher. While MineforNine.com is a pricier option when it comes to maternity clothes, it is a good solution for women who need to dress business-like for work or formally for certain events. One benefit of shopping with Mine for Nine is that with the rental of one clothing item, you can rent the same item in a larger size for free. Also, when their clothing becomes too worn to rent, they donate it to charities, such as Dress for Success. Many maternity stores, such as Motherhood, Kohl’s, JC Penney, and Target, have several fashionable maternity clothes pieces. Buying clothes from these stores at full price can put a strain on your budget. However, signing up for store coupons will help you save on maternity clothes. In my own experience, I was able to get a pretty purple dress from Target’s maternity section for only $3 – cheaper than the thrift store! I simply printed out a coupon for maternity clothes at Target’s online coupon database when it was available and matched it with a dress on the clearance rack. The best way to get money-saving coupons for maternity clothes is by signing up for each store’s promotions. JC Penney sends customers valuable coupons several times a year. With the use of the Kohl’s charge card, customers are sent 30% discount coupons, as well as $10 coupons. With Kohl’s, coupons can be combined, even on clearance items. The cheapest way to go when it comes to dressing your expanding baby belly is to just throw on your husband’s sweats and t-shirts. But where is the fun in that? Pregnancy is a beautiful thing and dressing sloppily in ill-fitting clothes will only make you feel more self-conscious about your growing body. Instead, feel free to look fashionable and feel good about yourself, all on an affordable budget. How do you save on maternity clothes? 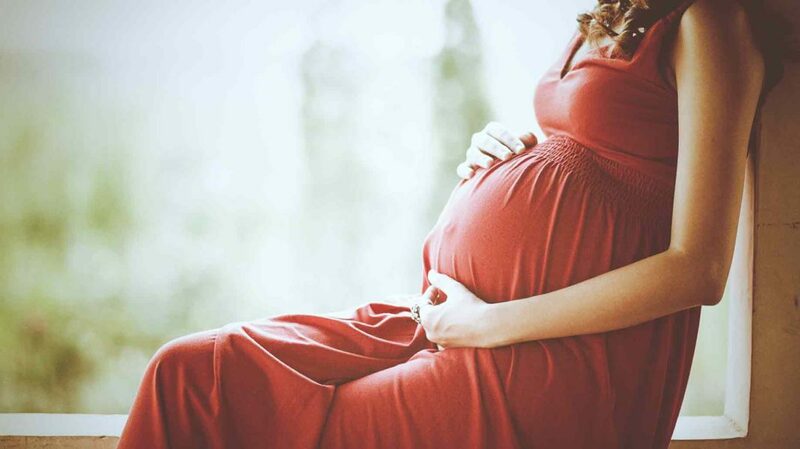 Do you believe that dressing nice during pregnancy makes you feel better? Ashley Eneriz is a writer based in California with her husband and a baby on the way. She writes about how to save money at home on her blog, The Thrifty Wife. In her free time, she enjoys thrifting, reading, and crafting.